Roche has agreed to acquire Flatiron Health for $1.9 billion, a deal that brings the cancer research capabilities of Flatiron to the oncology drug portfolio and pipeline of the pharmaceutical giant. Roche already owns a 12.6 percent stake in Flatiron. The Basel, Switzerland company expects to complete the acquisition of the remaining Flatiron shares in the first half of this year. Flatiron, based in New York, makes cancer-specific electronic health record software. The data that the Flatiron software collects—stripped of patient-identifying information—is sold to drug companies and others to use in research, as well as for fine-tuning clinical trial recruitment. Flatiron says its partners include more than 265 community cancer clinics, six academic research centers, and many of the top cancer companies. Flatiron’s cancer data collection services will continue after the company becomes part of Roche. In a statement, Roche CEO Daniel O’Day said that Flatiron will keep its autonomy and ability to serve its customers, and will operate under the same business model it does now. Patient data will remain protected and the company will operate with its own sales, marketing, and business staff, according to the statement. Here’s more on Flatiron’s business and its relationship with companies working in cancer research. 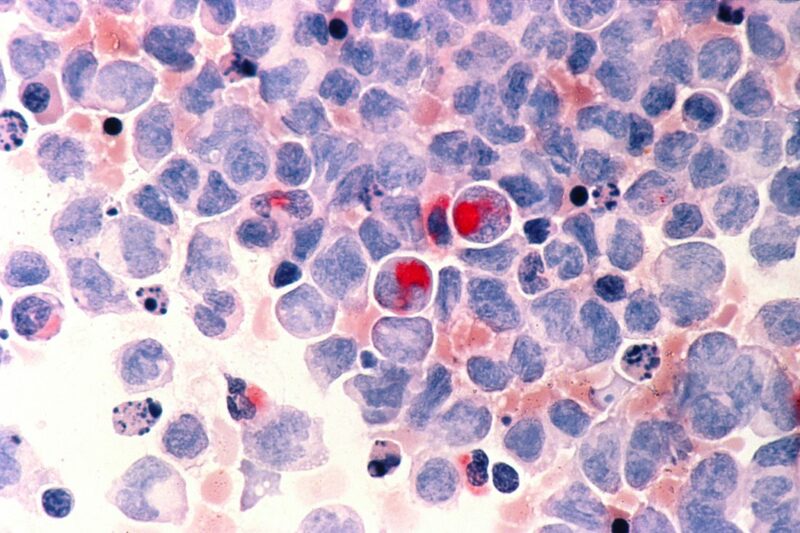 Image of human cells with acute myeloid leukemia from the National Cancer Institute.